The British Marine Life Study Society is dedicated to the publication of information about marine wildlife and the sea, including the intertidal zone, or seashore. Shorewatch is the project designed to record the topography, geology, and fauna and flora of the British seashore. 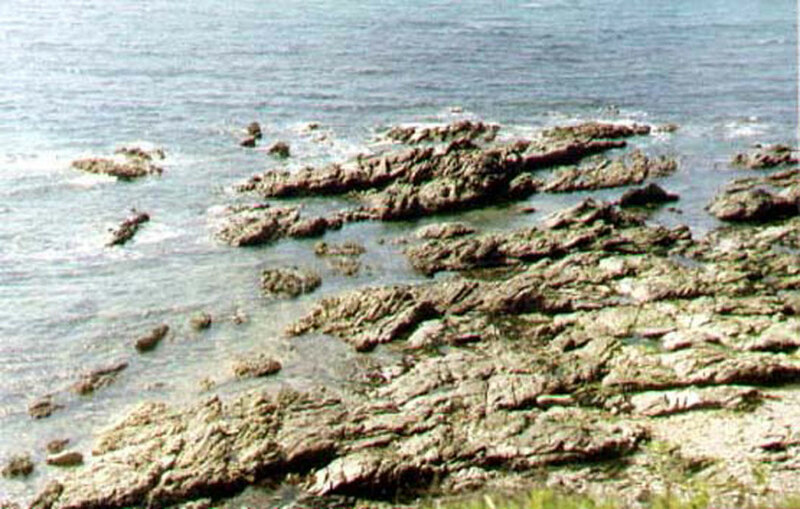 A rocky shore is the most interesting area to explore for the seashore naturalist or 'rockpooler'. It is rich in both the number and diversity of species with examples of life from all the major phyla (major evolutionary groups). For most of the length of the coast of the British Isles, it is only between spring and autumn that it is worth exploring the intertidal zone. Except, for the extreme south-western shores, the winter fauna is exiguous. This is because the cold weather has compelled the mobile rock pool fish and crabs to move offshore into deeper warmer water. For the purposes of the Shorewatch Recording Scheme, records are wanted for shores within the scope of the study of the society, which means any shores influenced by the marine environment, including estuaries and brackish water lagoons. Our interest goes beyond the legal definition of the shore which is 'the land between high and low water marks' and includes the splash zone and the land above this area that has flora and fauna influenced by the sea including sand dunes and shingle banks, with their flowering plants and sea bird nesting sites. 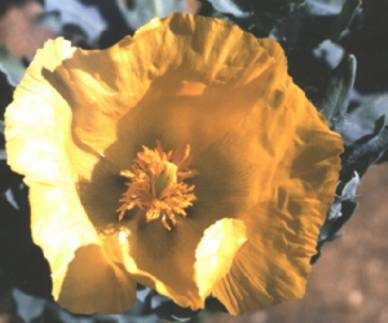 In the United Kingdom, collection of flowering plants is forbidden under the Wildlife and Countryside Acts. 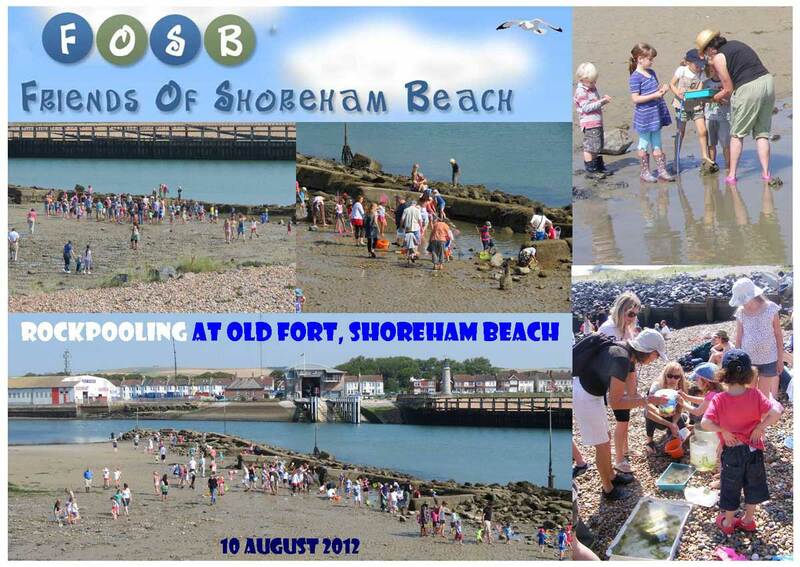 Over 150 rockpoolers descended down on to the safe beach at Old Fort, Shoreham Beach at low tide and they were able to forage in the pools for over two hours. The critters of the seashore never had a chance to escape the flimsy nets and probing fingers of the youngsters. Fish fry swam in the shallow pools, notably scores of the young of the Two-spotted Goby, Gobiusculus flavescens. Many of the captures were decamped to temporary aquariums further of the beach and returned to the pools before the incoming tide. The word shore probably arose as the past participle of sceran (shear) = scora.